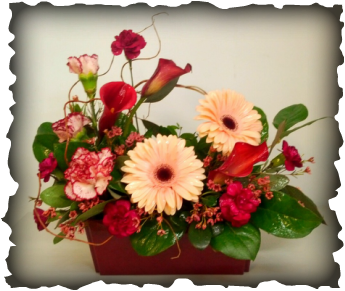 Lifewise Floral Designs is your local florist for the St. Brieux, SK area. We specialize in fresh and creative flower arrangements from everyday occasions, to weddings and special events. Our floral designer aspires to create stunning and amazing floral arrangements that tailor to your vision. We are here to help you with whatever your needs be, while adding touches of creativity so your design is always fresh and unique! Phone: 306-275-2223 To Make Your Order. Deliveries available within the town of St. Brieux. NOTE ON ORDERING: We are a small town florist and although we carry fresh flowers weekly, we can not always guarantee on having specific flowers. Please try to give us a week or two notice if you would like a specific flower or large quantity brought in and we are more than willing to help.